Okay so as I am sure you all know, for the past (almost) 2 years, I have been having fun experimenting with my hair. Bleaching it, dying it, cutting it, damaging it, slowly killing it... So when I heard about these hair products, I really wanted to give them a try! When it comes to what I use in my hair, I try to be particular. I'm already damaging it with all of the dying so I NEED to pay attention to the extra products I use. One of the main things I look out for is sulphate. Products containing sulphate can play a part in taking the color right out of your hair. So when I read about these products and what they were all about, I was 100% down to show some support. The name of the brand is a bit of an oxymoron. "BS!" is an 8 haircare product line that has removed the paraben, sulphites, EDTA and other harmful additives that many other companies use in their products. So basically, they aren't BSing us like so many other products do with their fluffed and sugar coated labels and descriptions. All BS! products are sulphate free, grain free, and sodium chloride free. Naturally, my hair has been slightly damaged by all the bleaching, so I have all of these stray fly away hairs that make me look like a crazy lion with a mini mane. This is where the "Double!" came in handy. 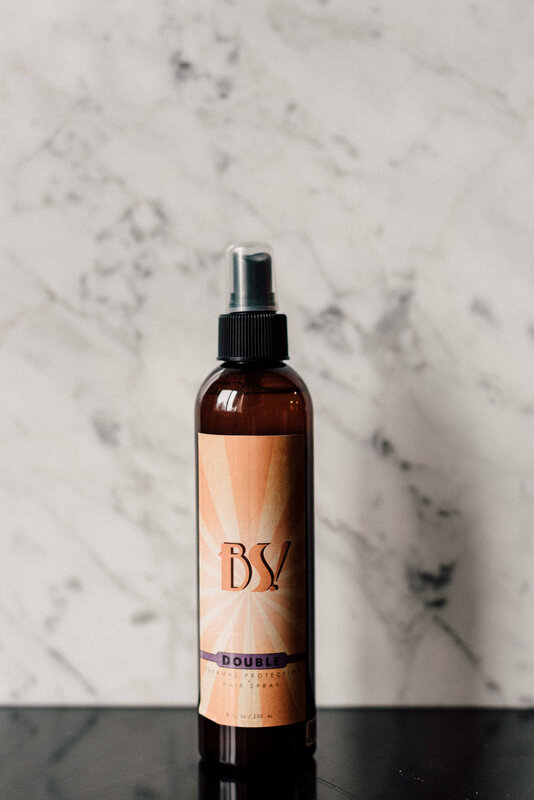 It's a two in one product that works as a heat protectant and hair spray. With having short hair now, I straighten it more than I used to when it was longer. I just spray the heat protectant on my hair and then style it! It keeps all of my crazy little fly aways in check and holds them down in place! When it comes to leaving my hair natural, (wavy/curly), the mousse works great! The thing I love about this mousse is that it doesn't get hard and crunchy once it dries like other mousses do! I used this mousse, and then two days later (lol yes, two whole days later) straightened my hair with no problem! It actually may have straightened better than it usually does! The shampoo and conditioner smell so natural and fresh. None of that fake stuffy flowery scented stuff, and it leaves my hair feeling soft and moisturized. AND THEN, to top it all off, this little product, called "FLUFF!" adds volume and texture to your hair. 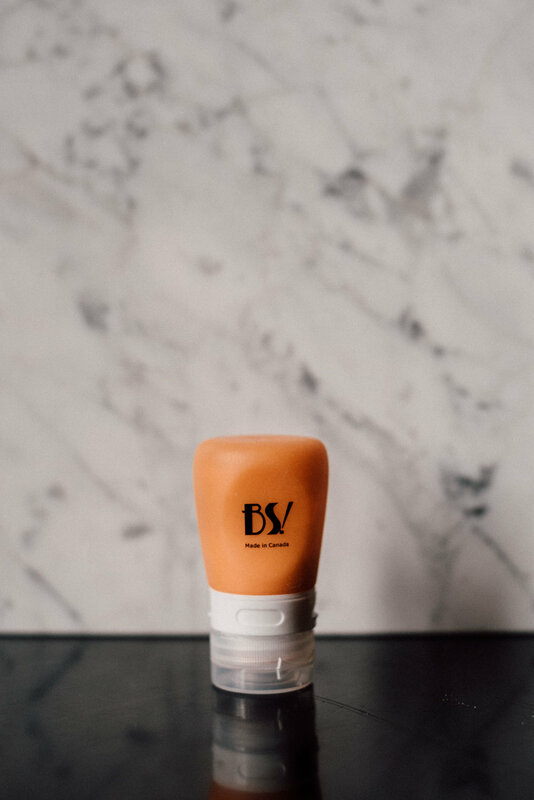 Honestly, when I first tried this product, I didn't understand what it was or how to get it out of the little bottle, so when I squeezed it, I totally squeezed it towards my face and it puffed out all over me. So that little puff smoke cloud you see in the 5th picture below, thats what I puffed into my face. just thought I'd share as a warning for anyone else who can't figure it out. Anyway, I have nothing but praises for these products. Check out their website here, it includes more about their products, testimonials, and beauty education opportunities.